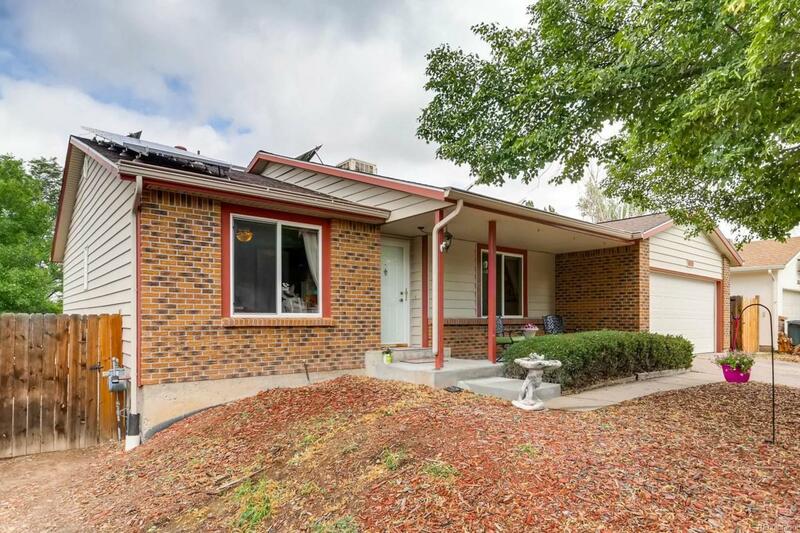 Wonderful ranch home with 3 beds, 2 baths located on a quiet street. Cherry Creek Schools. Utility costs are next to nothing with solar panels (owned free and clear -- no lease! ), xeriscaping and just enough grass for relaxing! Updated kitchen with granite countertops and stainless steel appliances. Delta hands-free kitchen faucet. Hardwood floors and a wood fireplace makes for a cozy living room. Great light and a wonderful open layout. Private Master suite separate from the bedrooms. Home includes 2 fireplaces! Unfinished walk-out basement offers lots of storage and potential! Very large backyard with several areas to relax! TV and wall mount included! This one wont last!